In tonight’s episode, Leonard finds he is invited to Large Hadron Collider, “the LHC”. In case this ever happens to you, I have a handy phrasebook at the end of the post. (Or take it with you if take a free CERN tour open to the public.) But first, even though the LHC has had about a billion dollars of news coverage over the past two years, there may be viewers that have not have heard that the LHC is the largest “atom smasher” ever built. “Atom smasher” is a quaint 1950’s term for a “particle accelerator”. Particle accelerators produce “high energy” collisions for people like me, “high energy physicists”. As a side benefit, they also produce the brightest visible light and X-ray sources available for study of new materials and biological systems. How high is “high energy”? The LHC is designed to produce collisions of protons that have been accelerated by 7 trillion volts. That sounds like a lot. How much? When two of these protons collide they have the energy you would get out of eating 0.00013 micrograms of a candy bar. That is not much energy for a machine touted as recreating the Big Bang. There are much higher energy collisions on a Manhattan sidewalk than this. The key point is that high-energy physicists care about the energy per particle. 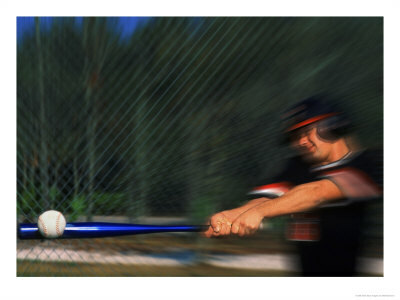 Collisions on the highway, or even a baseball with a bat, are collisions with objects with over 1027 (1 followed by 27 zeros!) particles in them. So any one proton in the collision of two cars has very little energy compared to the LHC. A ball and bat make a much higher energy collision that the LHC. What matters though is the energy per particle. Perhaps a more apt, albeit less sensational, description is an old one: High energy accelerators are giant microscopes. A deep law of physics is that the higher the momentum of a particle, the smaller size it can resolve. High energy means high momentum and going down this path for a few centuries brings us to the Large Hadron collider. Optical Microscopes: The artisan lens-makers of Flanders over 400 years ago inspired Galileo to combine lenses to make a telescope to study the heavens. A slight rearrangement of the optics, produced a microscope, producing images of biological structures too small for the human eye, on the scale of a millionth of a meter or “micron”. The minimum size structure visible is dictated by the “size” of visible light, about half a micron. But a “micron” is enormous on the biological and even atomic scale. Barely any of the structures in the nucleus of a living cell can be seen. Electron Microscopes: In the early 20th century, a polio epidemic spanned the world. In 1% of its infections, polio would leave children paralyzed for life. 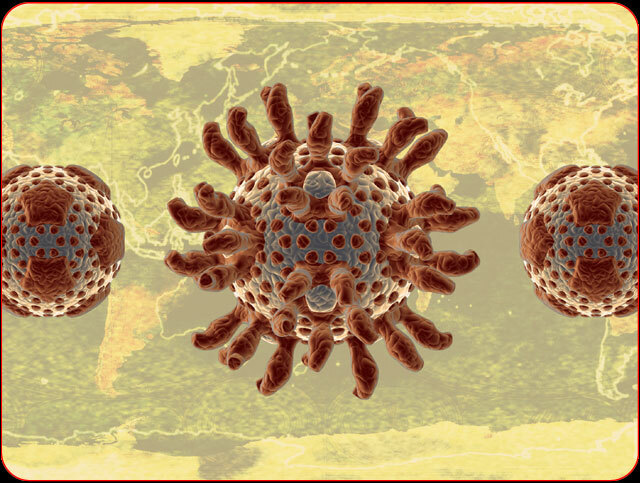 Optical microscopes were not up to the task of imaging the poliomyelitis virus. So German engineers pressed into service the physics rule that high momentum means access to small sizes.. By bombarding a sample with high energy electrons, the polio virus could be seen. (Images of structures are in black and white. It is meaningless to even ask the color of something so small that not even light can resolve it. But like Ted Turner, physicists often colorize their images. ) Over the years, the technology has improved to the point where even the locations of individual atoms can be measured to 0.000000000050 meters. Accelerated electrons allow imaging the poliomyelitis virus which causes polio (false color). This is far too small to see under a regular, optical, microscope. The Large Hadron Collider: and other recent accelerators are sensitive enough to offer the possibility of looking inside even a proton. Structures the size of 0.000000000000000001 meters (that’s a billionth of a billionth of a meter) are routinely studied by high energy physics like Leonard. “How does this look like?“: When giving a presentation on scientific work, I often find myself asking rhetorically about the data, choosing between either “How does this look?” or “What does this look like?”. In the CERN dialect, this hybrid phrase means you never have to choose. Profit: In French, the verb profiter means to take advantage of. This allows a much more efficient construction, as in “Let us profit from the sunshine and eat out of doors”. British English: For some reason, English taught in European schools appears still to be British English, not American. So use “autumn” for “fall”, never use “how come?” for “why?” and so forth. Avoid ‘s : Face it, the “apostrophe -s” is hard to hear, and the rules are often even screwed up by a native English speaker. This is also not a construction that has a counterpart in many other languages. A phrase, “Let’s go to John’s lab and look for Mike’s screwdriver” is not something you are likely to hear in the CERN dialect. Rather say “Let us go to the lab of John and look for the screwdriver of Mike” if you want to be sure to be understood. Replace specific English words with French ones: Occasionally the French word is substituted directly for an English one. Being located on the French-Swiss border, working at CERN you will be crossing the border–several times a day. “Customs Officer” is a word you’ll need, but klunky. Replace with douanier. Toilet: A word we avoid in polite English conversation, toilet, corresponds in French to the very clean faire la toilette. At CERN, don’t “go to the bathroom”. There is no bathtub in there anyway. When nature calls you can very politely “go to the toilet”. For more information see this nice page from Francois Briard a CERN employee who is heavily involved with their public outreach. He also sent me a link to some fun movies. Of course any of the guys would have friends at the university that could get them into the LHC lab, including many places not open to the public on the tours. But plane tickets to Europe, a place to stay, and especially European gasoline for getting around do not come cheaply. So their excitement is duly warranted. Time for a “toilet” break. P.S. For over a decade, in my high-energy physics class I’ve always asked the students the following question: “Every time a new accelerator turns on, some clowns appear and say it will destroy the Earth and/or Universe. Explain whether this is likely or unlikely.” Sure enough, the same thing happened with the LHC turn-on. A key point I want my students to realize is that Nature has much higher energy particles making much higher energy collisions all around us. Basically these guys are fear mongering with an attention-grabbing stunt. Now just because it is fear-mongering and an attention-grabbing stunt does not mean it is wrong. There are always loopholes. So it is logically incorrect to say a disaster is absolutely impossible, as some of my colleagues have said. (Or at least what the media says they said.) In fact it is logically possible at any moment something you do in your kitchen could even create ice-9. So I think physicists should be careful and not say “absolutely impossible” when they really mean to say “is ridiculously stupid”. This entry was posted on February 8, 2010 at 6:45 pm and is filed under Uncategorized. You can follow any responses to this entry through the RSS 2.0 feed. Both comments and pings are currently closed. Was Sheldon’s throat singing inspired by the great Richard Feynman’s quest to get to Tuva? For some reason I just made that connection when I saw it. It was quite funny none the less. I wondered the same thing but never asked. You’ll have to ask the writers. I liked the episode a lot but doubt that trips to CERN are a very hard to get perk for Caltech particle physicists. As a Caltech undergrad I knew several people who managed to score summer internships at CERN. If nothing else, Sheldon should know some colleagues who work there and have enough of an “in” to take a vacation in Geneva and visit the collider along the way. When the LHC was being built, there were some (ridiculous) rumors about the collisions creating black holes that would consume the planet. To appease these people, a website was set up to monitor prevention progress. Awesome! I meant to write about that but forgot. Thank you. So I’ve added a postscript. According to the International Earth-Destruction Advisory Board – http://qntm.org/board – the Earth has been destroyed, by the LHC apparently. Science’s goal is to walk on well-layed pavement. Religions’ goal is to avoid stepping on parts of the universe that were accidently omitted. Experience shows securely stepping is costly up front but in aggregate vastly less expensive than forever hopping with fear. While German engineers (Ruska & Knoll) did first harness electrons to ‘see’ things at very small sizes, the first ‘practical’ (Wikipedia’s word) electron microscope was built in Canada, at the University of Toronto, by James Hillier and Albert Prebus. I went to an elementary school named after Hillier and we were always told that he invented the electron microscope. Like most invention claims, both true and not. Awesome blog! I’ve gotten to work at LHC (on CMS), so this episode was extra special. Embarrased to say I was one of them. It took this episode for me to look it up. All I can say is ‘wow’. I feel like what Penny must feel when talking to these science types. I must say though, its exciting! Just finished reading an article on how the LHC might help understand dark matter particles among other things. I absolutely love this blog. Not being a physicist, High Energy or otherwise, it helps me understand things that are of interest to me. There is something I don’t quite understand. Surely the LHC is not bouncing only 2 photons at a time. I would really like to have a layman’s tutorial on the LHC that would explain how the collider works, how the detectors work, what material is actually moving around the big circle, etc. The LHC is facinating to me. I work at CERN. I am not a physicist myself (I’m in charge of CERN’s IT solutions for Human Resources area), but I am guiding people at CERN for 5 years now. 99% of our visitors don’t have any scientific background and I am therefore always looking for good images/analogies to explain the extremely complex machines and experiments to the over-50’000 visitors we welcome every year (really feel free to visit us, booking months in advance is much advised though: http://cern.ch/outreach/). Have fun and come visit us, hope to meet you! Firstly, its pRotons that the LHC is colliding, not pHotons. The difference here being that protons are what make up matter, they’re in the nucleus of every atom. Photons are little “packets” of light, massless, and somewhat different! You’d be right in thinking that the LHC is not colliding just 2 protons, in actual fact it collides “bunches” of protons. However, in each collision 1 proton going one way around the ring will hit 1 proton coming the other way, so in essence the collisions are just 1 to 1. Thanks a bunch for the link Neil. I’ve already started looking at it. Pretty stupid mistake confusing photons and protons. Oops. It is not only protons that are accelerated at LHC but in a few months it will also be lead nucleus (composed of 82 protons or neutrons). Most of the time the LHC will operate with proton-proton collisions, but another very exciting outcome will be the study of heavy ion (lead in this case) collsions. Then the sentence of David “Having only two particles collide is barely enough to think about as having any temperature at all” is measleading. We indeed expect the LHC to create the so-called Quark-gluon-plasma in lead-lead collisions, a state ressembling the early universe with a very high temperature (at least 200 MeV, something like 5 trillions of Celsius if I am correct with the unit conversion). So in this experiment one can really talk about a dense medium with a very large temperature. Great response Neil. Thank you. least because I am involved in popularizing science. Joking apart, it is really difficult to explain to the public the concept of probability. People tend to fear things they do not understand and they may be much more worried about nuclear power plants and LHC experiments than driving a car. People criticizing science often use “argumenta ad ignorantiam”, i. e. reasoning based on speculations beyond our knowledge. Our universe may even be in a “wrong vacuum” state and could decay spontaneously into the “real” ground state – who knows? However, so far it survived the last 13.7 billion years with quite exotic and by far not yet completely understood high-energy processes going on. That is, what I answer people worrying about the possibility of (induced) self-destruction of the universe. Does this render Fermilab useless? Very good question. It is something the U.S high energy physics community is dealing with as we speak. What is called the “Energy Frontier” is definitely moving across the pond, away from Fermilab to Europe. We knew that this moment would come as soon as Congress killed the Superconducting Super-collider back in the 1990s. Until the LHC turns on, Fermilab will race to pick up any discoveries that they can at lower energy. For example, taking advantage of the LHC delay (it was originally scheduled to turn on in 2005), Fermilab could have scooped the LHC for finding the Higgs Boson if they had been lucky. But Nature did not cooperate by giving the Higgs Boson mass the right value. For the farther future, Fermilab will re-re-invent itself as a machine that provides high intensity beams onto stationary targets. Re-re-invention because this was Fermilab’s original mission in the 1970s. This is now called the “Intensity Frontier”. A few possibilities for major discoveries are out there–particularly in the flavor properties of particles–but many people would say they are less likely than being at the Energy Frontier. YMMV. Many U.S. physicists work at the Large Hadron Collider and made significant contributions, so Americans will have access to the science that is done there. Probably the reason is that Britain is in Europe; British English is older than American, as well as Europe. David, many people appreciate your work in piquing people’s interest in the show’s science. It’s a tricky stunt to communicate with the public through popular science articles — especially tricky when discussing the LHC. yes the tuvan throat singing was homage to feynman. there was a pbs show called tuvan blues about paul pena ( who wrote jet airliner ). hes a blind musician that went to tuva and won the national throat singing contest. the show talks about feynman and his tuva connection. cheers. Seems nobody’s noticed “every built”. Just a quick note to state CERN (Conseil Européen pour la Recherche Nucléaire – European Council for Nuclear Research) was easier to pronoune than its english counterpart. Maybe this had some weight for the official naming. Just FYI, referring to the bathroom as a “toilet” is a British English thing, not a CERN English thing. So, do anyone know why the episodes sometimes skip a week or two? It seems to be happening to all american shows too. Anyone got the inside scoop on this one? My guess is that the Olympics are on and competing networks know that despite the very poor, very late coverage on NBC, they will still lose viewers to the spectacle, so they keep the good stuff for when there’s less distraction. The per-proton energy is misleading at best. According to https://edms.cern.ch/file/445830/5/Vol_1_Chapter_2.pdf the total energy in the two beams is 724 MJ, which is equivalent to 173 kg TNT. I feel your comparisons make the LHC seem a lot “weaker” than it really is. While it’s a bit too large to make a practical weapon, it certainly wouldn’t have any problems devastating a human or two in its path. i.e. just omitting the ‘s but leaving everything else intact. British English should be the only English used! Nice details about the LHC.